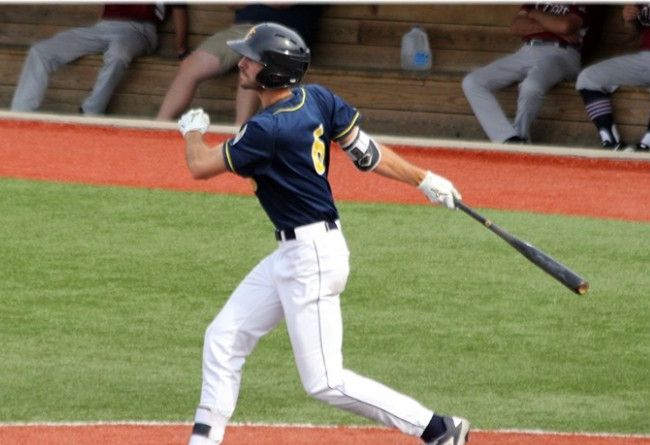 (Bridgewater, N.J., March 11, 2019) - The Somerset Patriots today announced the signing of infielder Will Kengor for the 2019 season. His rights were acquired from the Milwaukee Milkmen (American Association) for a player to be named later and future considerations. Kengor enters his first season with the Somerset Patriots and first in the Atlantic League. The left-handed hitting infielder has spent each of the last three years with the Traverse City Beach Bums (Frontier League); all three in which he was named a Mid-Season All-Star. Kengor slashed .304 with 35 home runs, 166 RBI and 25 stolen bases over his three combined seasons in Travese City, leading the team in all three categories over that stretch. Additionally, he twiced finished top 10 in the league in batting: seventh in 2018 (.311) and eighth in 2017 (.324). The Pittsburgh, Pennsylvania native primarily played shortstop in his time with the Beach Bums, but has also played a significant amount of first base through his career. Kengor was originally drafted by the Detroit Tigers organization and played all of 2015 season with Single-A West Michigan, where he started 109 games at first base. The 6’3” infielder made his professional debut with Triple-A Toledo fresh out of college in 2014 before spending the rest of the season in Rookie ball. Kengor played his collegiate ball at Slippery Rock University (Slippery Rock, PA). There, the 26 year-old ranks third all-time in batting (.394), fourth in triples (13), seventh in on-base percentage (.460) and ninth in hits (209). Additionally, Kengor hit .449 his senior season: fourth-best in the nation. He was selected in the 28th round of the 2014 MLB draft by the Detroit Tigers.